I was more than a little excited going in to this film because, after all, I have called Miike's adaptation of Phoenix Wright: Ace Attorney the greatest video game movie ever made. But there was no small part of me that worried it would be one of his more ultra-violent movies, akin to Ichi the Killer (of which the gore was just too much for me). But Like a Dragon turned out to be neither a lighthearted criminal drama like Ace Attorney nor an ultra-violent gorefest like Ichi. Rather it was simply one of the most enjoyable black comedies I have ever seen. Black comedy is a hard thing to get right. You have to balance dark settings with funny situations without going too far and alienating your audience. Finding this sweet spot is [ something Like a Dragon does very well. One entire plot line, for example, revolves around a pair of bank robbers who arrive to find the bank has already been cleared out of cash. So they find themselves with a bank full of hostages but no loot to make the confrontation with the police worth their while. Over the rest of the film, we are treated to scenes of the robbers arguing about their code names, dealing with wearing knitted ski-masks on the hottest day of the year, and being awkwardly yet genuinely thanked by the hostages for the expensive gourmet food they ordered as a hostage demand for everyone to eat. The dark comedy nature of the film allows for some of the game's signature elements to be brought into this surrealist yakuza-filled world. 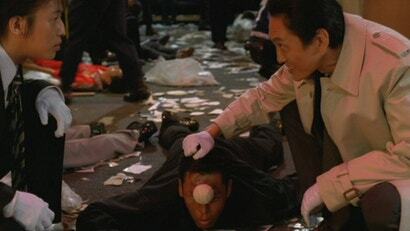 Baseballs being used as a lethal weapons (along with any item laying around really), energy drinks that give you the strength to fight despite bullet wounds, massive random yakuza street brawls erupting at random, and complex international conspiracies fit perfectly into the world Miike has created. The movie even hits a mind-bending "meta" note with a surprise cameo by the game's creator Toshiro Nagoshi. Like a Dragon is really five stories in one. 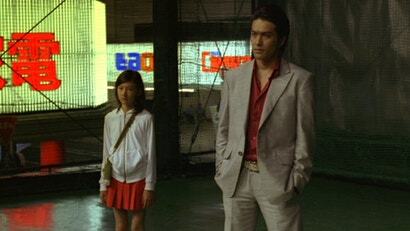 The first one follows former yakuza Kiryu and young girl Haruka as they hunt for Haruka's mother. The second follows two teens who randomly embark on a robbery spree. The third is the story of a Korean assassin preparing for a hit, while the fourth follows Goro, an insane, one-eyed yakuza who is on a boredom-induced killing spree while he's looking for Kiryu. The last plotline, as already mentioned, follows two masked robbers in a bank job gone horribly wrong. It's unfortunate, then, that the movie completely falls apart as it reaches its climax. Up until this point, the movie is rather solid. We know what all the characters are doing and — most importantly — why they are doing it. 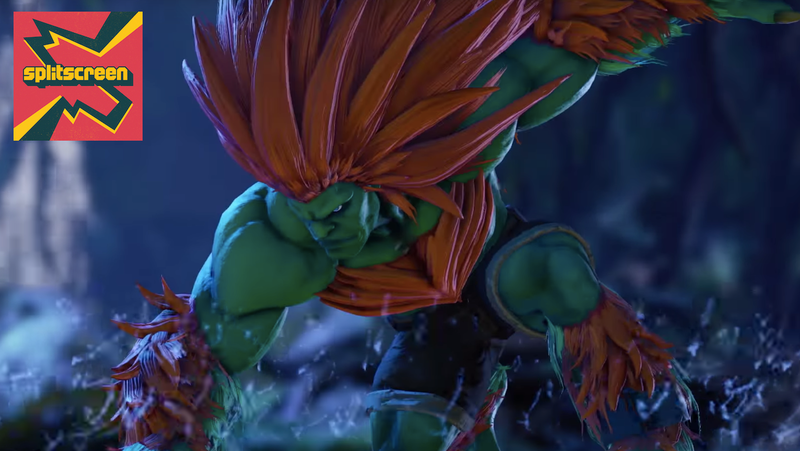 Then, two new characters appear. 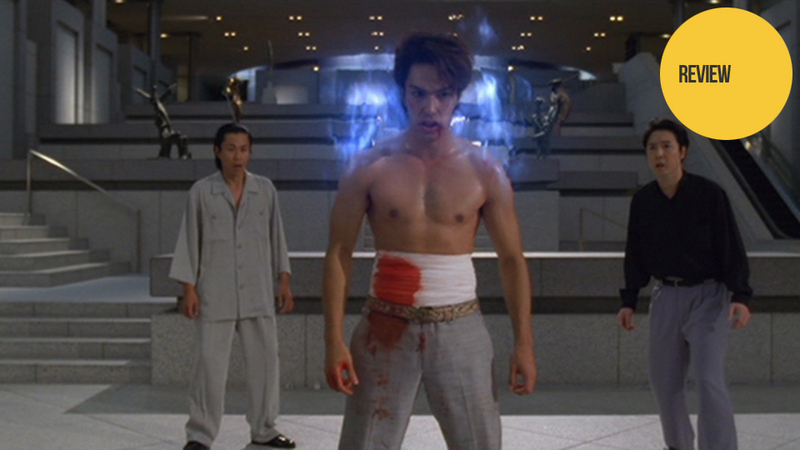 One fights Kiryu in the film's final fight scene — though for no readily apparent reason as their goals do not conflict in any way. The other claims to be two characters at once without explaining why or how this came to be. Worse yet you can't even tell if her statement is meant to be taken literally or not. Even when she states her goal, we are left with two questions. 1) "Why?" and 2) "Why does your goal have to be completed in this way?" Thus, when the credits began to roll, I was left wondering just what the hell I had watched. Yakuza: Like a Dragon was released on February 23, 2010. Isn't it Takashi Miike? Or am I mistaken? Takashi Miike is how the Japanese would say it (and how it's most usually written), with the family name taking precedence. Or did I get that arse backwards? Too early, and I need a coffee. This looks so much different to the prelude video of the 1st Yakuza.